Every Guest who is expected to arrive has arrived. 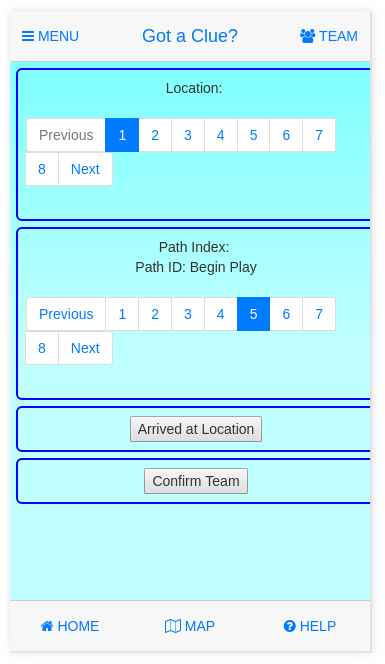 Guide monitors the Team page to see that each Guest has added themselves to the team and confirmed their GPS settings. As members request to be added to the team, the Guide will confirm them from the Team page. Once all guests are present and have completed the Game Preparation, the Guide uses the Status page to begin play (see image below for prototype). No alternative courses at this time. The first puzzle of the game is revealed.